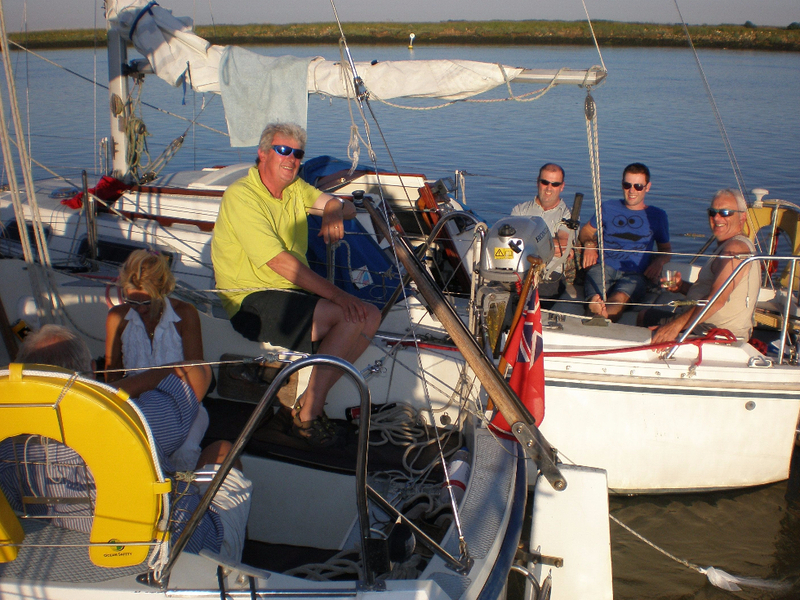 The club schedules several weekend cruises during each sailing season. (Check out the Clubs Sailing Programme for dates, destinations and tides). Events are planned around tides so a midday or early afternoon tide is ideal for visiting one of the Marina’s on the River Orwell or Walton Backwaters, where an early morning 7am tide is ideal for trips further afield allowing us to return at a reasonable time on the Sunday. Typical destinations for the fuller weekend cruises include Woodbridge, Orford, Snape, Bradwell or Tollesbury. The Club is proud of its diverse range of boats: Fishing, Rowing and Sailing all of which have attended weekend cruises in recent years. Longer cruises normally develop when a member has an idea to visit a particular port or destination, they float their idea and others may decide to join in. Trips in recent years have included The Suffolk Coast heading up to The Royal Norfolk and Suffolk yacht Club at Lowestoft and then returning with overnight stays in Southwold, Havergate Island and Woodbridge before returning home, St Katherine’s Dock via Queenborough, and Bolougne via Ramsgate. Weekend trips are listed on the club website and club programme, an email reminder together with a notice and list posted in the club house enable members to log their intent and marina berths to be booked in advance (some marina’s (not all) give generous club discounts). Any member is welcome to plan an event and post in the club house. 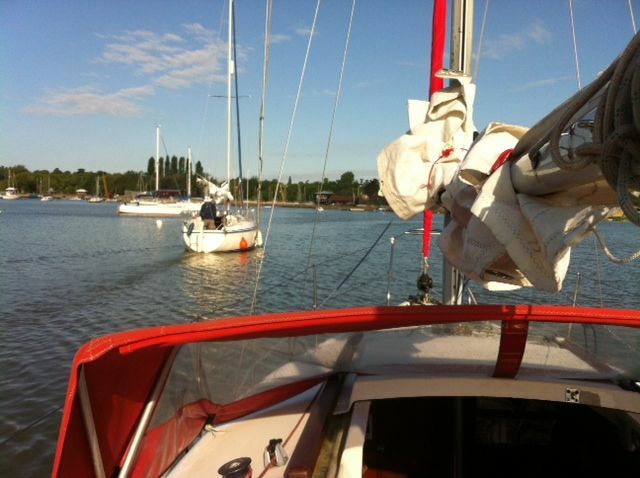 How about a trailer sail camping event to the Norfolk Broads.